Unissued finnsih navy officers scarf, one of the oldest items still in use. 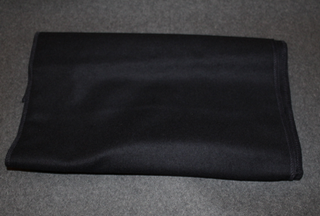 Nice woolen / sythetic scarf, navy black color, unissued and perfect condition. Manufactured in 2000´s by Topper Uniform, a legendary uniform maker from Littoinen cloth factory. Collar tabs, field artillery. Finland. Finnish Navy Diver badge. 3rd class. Finnish Navy Diver badge. 2nd class. Finnish Navy Diver badge. 1st class.